This lyre is a sturdy device to help performers read their music while marching, but without worrying about dropping their music. This well built lyre is made to attach on to a horizontal lyre holder which is attached to the instrument. This lyre is made to withstand any marching situation. 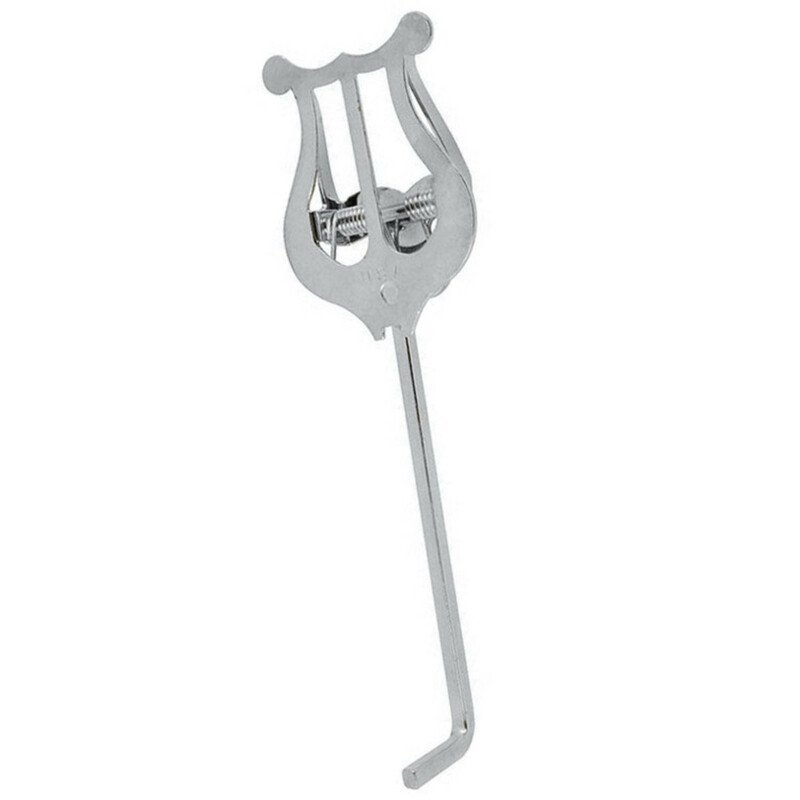 The solid lyre head ensures that music is kept in its place throughout and is attached by a solid bar. This helps to make sure that the music won't be dropped during marching sessions. The large stem makes the music slightly higher than normal, which is useful for those that don't play the instrument quite horizontally to still be able to see the music.